If you click to the product page for L’Oreal Healthy Look Sublime Mousse medium brown hair color on Walgreens.com, you’ll pull up a detailed product description, a list of ingredients, and even a video review from a happy customer named Jen. Search for the same product on CVS.com and you’ll find identical content pertaining to the L’Oreal hair coloring—right down to that same video featuring Jen raving about all the compliments she’s received on her newly dyed coif. The technology platform that gives L’Oreal the ability to post consistent ad copy on multiple retailers’ sites is made by New York-based WebCollage. The company, which was founded in Israel 12 years ago, has grown rapidly and is now syndicating ad copy for 700 manufacturers. 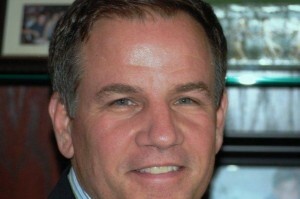 WebCollage’s customers—which also include Sony, Microsoft, Pfizer, and Disney—use the company’s software-as-service platform to market 19,000 products, says CEO Scott Matthews (pictured above). Now WebCollage is getting ready to roll out new functionality that will allow its customers to go mobile. As it stands, ad copy created on WebCollage’s platform is best viewed on desktops and laptops, because it’s laid out in a tabular fashion. So when a customer clicks on a button that says “take a product tour,” she is brought to a screen with labeled tabs that say “overview,” “video reviews,” and the like. “That content wouldn’t look good on a three-and-a-half inch display,” Matthews says. WebCollage’s new tools will automatically optimize ad copy for whatever mobile device a consumer is using. Considering that virtually everyone who has ever bought a consumer product online has probably interacted with WebCollage’s platform at some point, it’s somewhat remarkable how quiet the company has been. Matthews says the company has focused on marketing its technology capabilities directly to consumer-products manufacturers, and has succeeded at adding about 150 customers a year. WebCollage has raised about $33 million since 2002, according to SEC documents, and its backers include Sierra Ventures, Greylock Partners, Cedar Fund, Gilde IT Fund, and GSI Commerce.